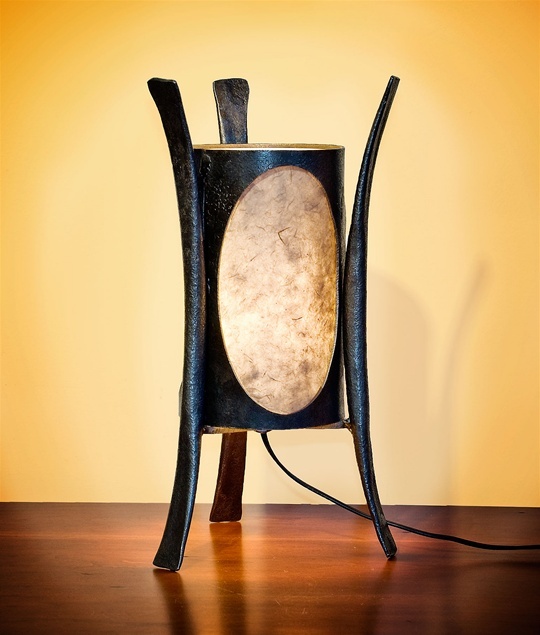 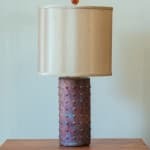 Mary’s raku lamps are like luminous poems weaving together color, texture, and form. 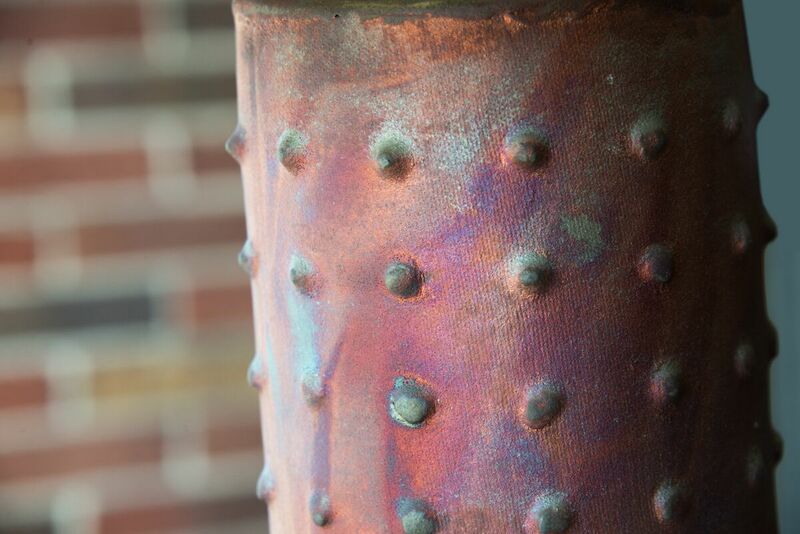 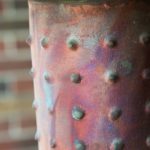 Raku is a type of Japanese pottery that is traditionally characterized by being hand-shaped rather than thrown, and being removed from the kiln while still glowing hot. 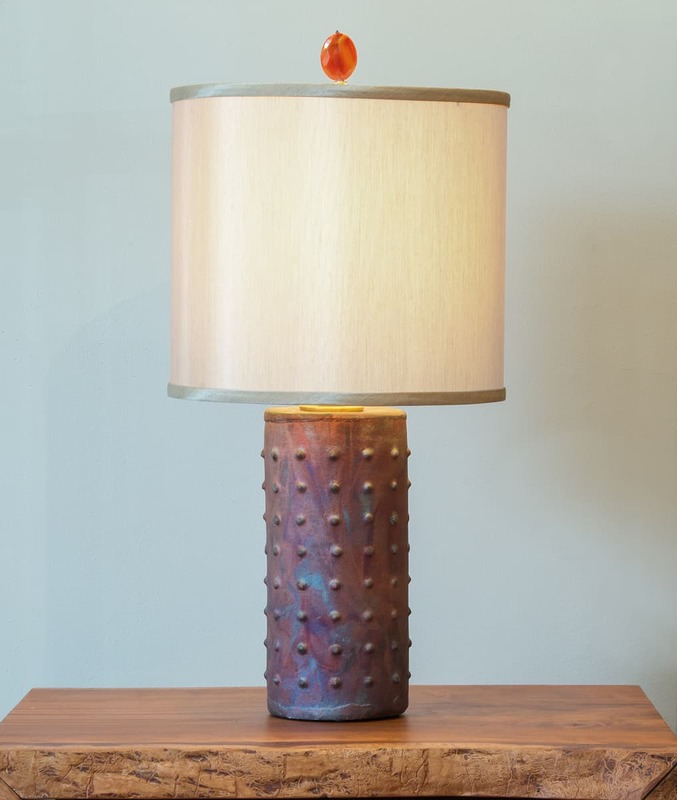 These lamps emanate a warm glow that is wonderful next to a bed or sofa, and Mary’s smaller lamps make fantastic accent lamps. 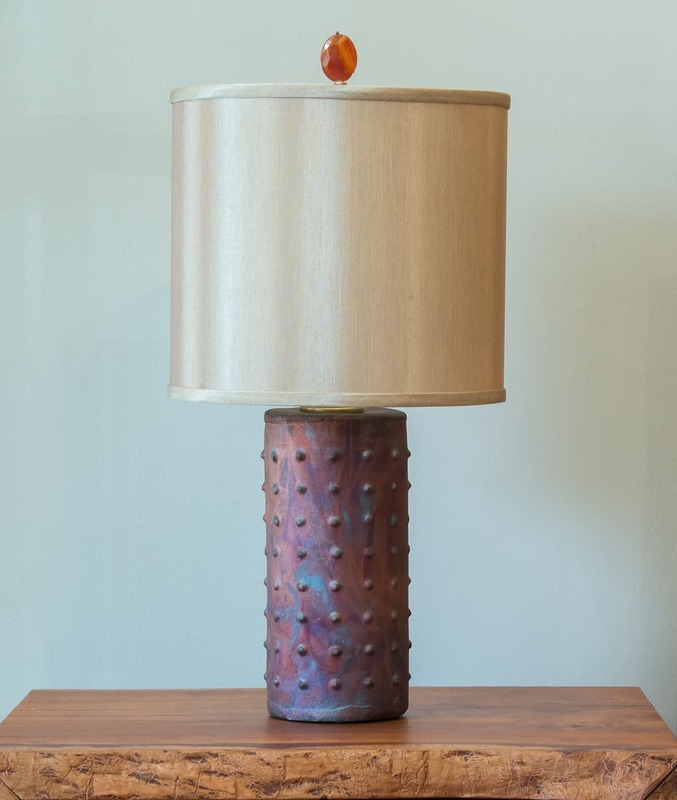 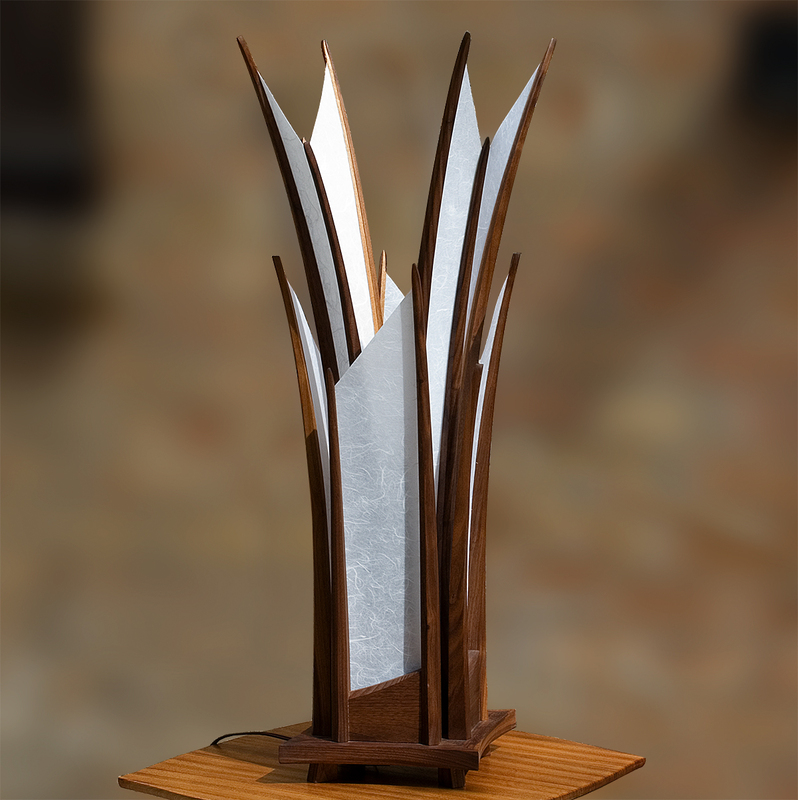 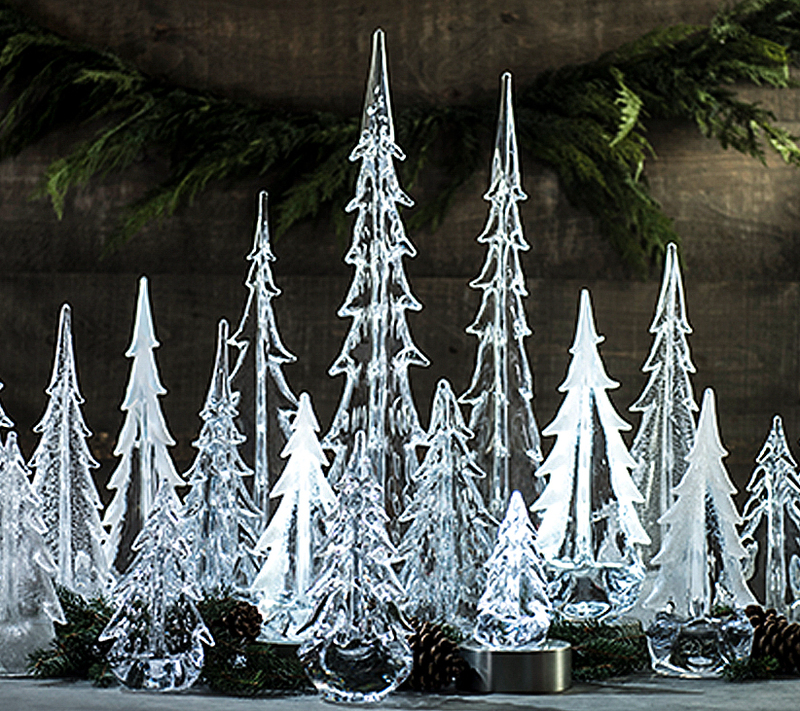 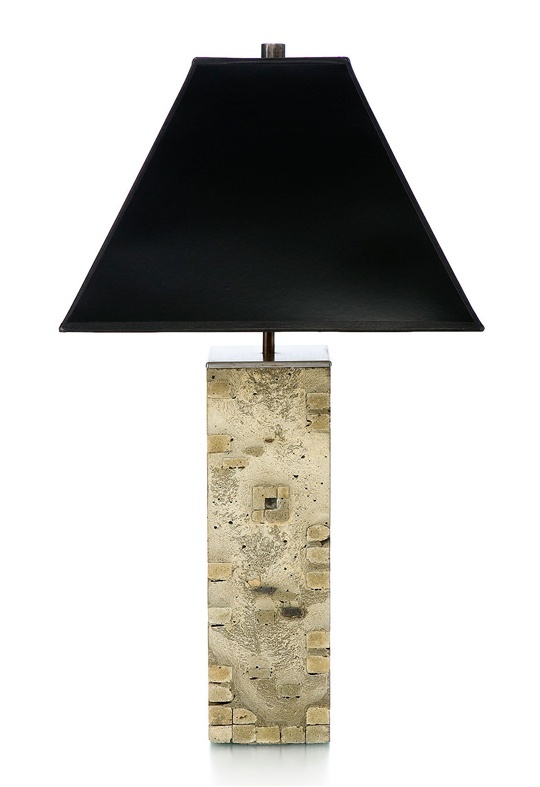 Lamps are outfitted with a custom sized shade and one of a kind finial.